Zimbabwe-focused New Dawn Mining (TSX: ND) said Tuesday that total gold sales and production in the most recent quarter grew 56% and 41%, respectively, as the company benefited from acquiring a controlling stake in Central African Gold (CAG) last June. New Dawn acquired an 88.7% stake in CAG, securing the company an interest in several properties in Zimbabwe. It later boosted its holding in CAG to around 90% last month. For the quarter ending December 31, 2010, New Dawn sold approximately US$6.2 million in gold at an average price of US$1,370 per ounce after adjusting for the minority interests' share of gold sales from the CAG properties. This compares to roughly $4.0 million in consolidated gold sales at US$1,101 per ounce for the prior year quarter. In addition, at 2010 year-end, an addition 967 ounces of gold awaited export documentation for sale in South Africa, which will be included in January sales, the company said. Total gold production unsurprisingly improved as well, as the company posted 4,577 ounces of attributable gold in the most recent quarter, up from 3,239 ounces in the period ending December 31, 2009. This represents an increase of 41% year-over-year and a 14% sequential rise from 4,024 ounces of attributable gold in the quarter ending September 30, 2010. 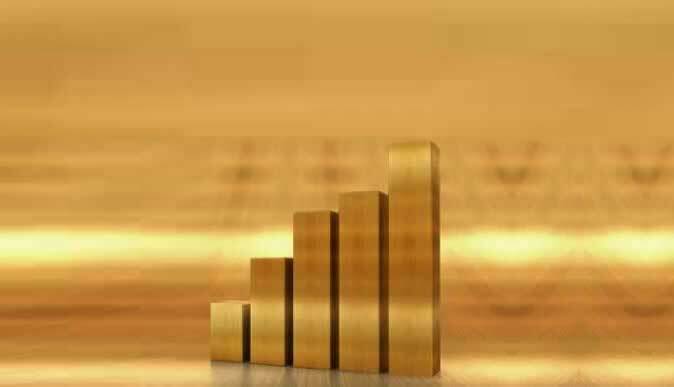 The growth in gold output was no doubt a result of the newly acquired CAG properties, as well as from greater tonnage mined and processed at the company's Turk mine in Zimbabwe as New Dawn secured an agreement for continuous power supply at the site. Previously, unscheduled power cuts adversly affected gold production at Turk, where the company has also now installed back-up generators. New Dawn's Dalny and Old Nic mines also resumed operation in August last year, which contributed 1,026 attributable ounces of gold to total production output for the most recent quarter. "As we look ahead to 2011, our target is to steadily increase monthly gold production to an annualized run rate of 38,000 to 40,000 ounces of gold by the end of calendar 2011, as well as a reduction in cash costs per ounce of gold produced as we achieve increasing economies of scale from operating an expanding array of gold mining properties in Zimbabwe," said president and CEO Ian R. Saunders. New Dawn will release its full results for the period ending December 31, 2010 by February 14th this year.